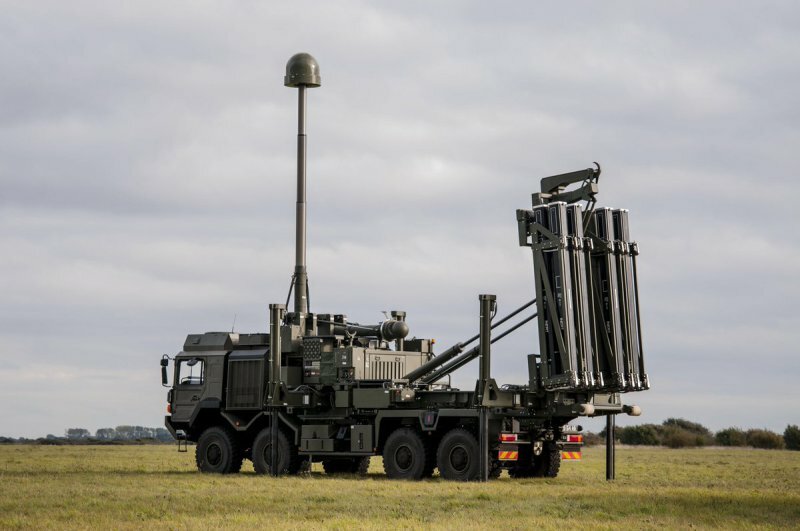 HUNTSVILLE, Ala. –-- Northrop Grumman Corporation and MBDA have successfully completed a joint, company-funded effort to incorporate the Common Anti-air Modular Missile (CAMM) family into the Integrated Air and Missile Defense (IAMD) Battle Command System (IBCS). CAMM is the first non-U.S. missile system to be integrated with IBCS. With the Northrop Grumman-developed Integrated Air and Missile Defense (IAMD) Battle Command System (IBCS) as the enabler for next-generation IAMD in the multidomain battlespace, warfighters gain the advantage of leveraging any available sensors and effectors to counter evolving and emerging threats. “This integration further demonstrates how the CAMM family and its associated systems have been designed from the outset for integration into IAMD networks, including with third-party battle management command and control and sensors, allowing the most complex engagement scenarios to be achieved with lower demands on the network and a lower integration burden,” said Michael Mew, ground-based air defence programme head, MBDA. The CAMM family is the next generation of air defense missiles for multidomain applications. Designed to defeat the most challenging of modern and future threats, including saturation attacks by precision-guided munitions and maneuvering high-speed missiles attacking simultaneously from multiple directions, the CAMM family of missiles feature a solid-state active radar seeker, two-way data-link, low-signature rocket motor and a 360° soft-vertical launch system. With more than 90 armed forces customers worldwide, MBDA is a world leader in missiles and missile systems. In total, the group offers a range of 45 missile systems and countermeasures products already in operational service and more than 15 others currently in development. MBDA is jointly owned by Airbus (37.5%), BAE Systems (37.5%), and Leonardo (25%).